Are you looking for a quality used vehicle but aren’t completely convinced on the reliability of it? Ease your mind by purchasing a Chevy Certified Pre-Owned vehicle. Vehicles in the Chevy Certified Pre-Owned program are held to the highest standards to ensure your car, truck, or SUV is as dependable as a new car. In order for a model to be accepted as a certified pre-owned vehicle at our Chevy dealership in Chicago, IL, it needs to pass the following certification standards. 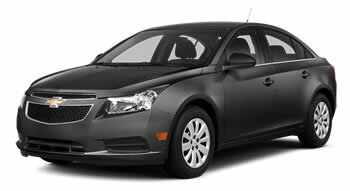 Interested in a Chevy Certified Pre-Owned model? Check out the CPO inventory at our Chevy dealership in Chicago. Owner Care is our vehicle benefits package that offers even greater peace of mind to drivers in the Chicago area. With Owner Care you’ll gain more satisfaction and certainty than you can with an ordinary used vehicle. What’s included with Owner Care? Do you have any questions about the certified pre-owned program at our Chevy dealership in Chicago? Send us a message online or call 773-465-2000 to speak with a product specialist directly. Now through August 31, 2016, well-qualified buyers can receive 1.9% APR on select Certified Pre-Owned vehicles, plus over $2,800 of Built-in Value, including two factory-backed limited warranties and an exclusive CPO Scheduled Maintenance Program with two included maintenance visits. 3Whichever comes first, from date of purchase. See participating dealer for limited warranty details. 4Available during your warranty period. See participating dealer for details. 5Whichever comes first. Vehicle exchange only. See dealer for details. 7If you subscribe after your trial period, subscriptions are continuous until you call SiriusXM to cancel. See SiriusXM Customer Agreement for complete terms at siriusxm.com. Other fees and taxes will apply. All fees and programming subject to change.